1. If you want to purchase a ticket through STEP, log in to your Burner Profile (http://profiles.burningman.com) and sign up to join the STEP queue, starting February 28, 2013 at 12pm (noon) PST. Anyone who has not already purchased a ticket through one of our other sales can sign up to purchase a ticket through STEP. 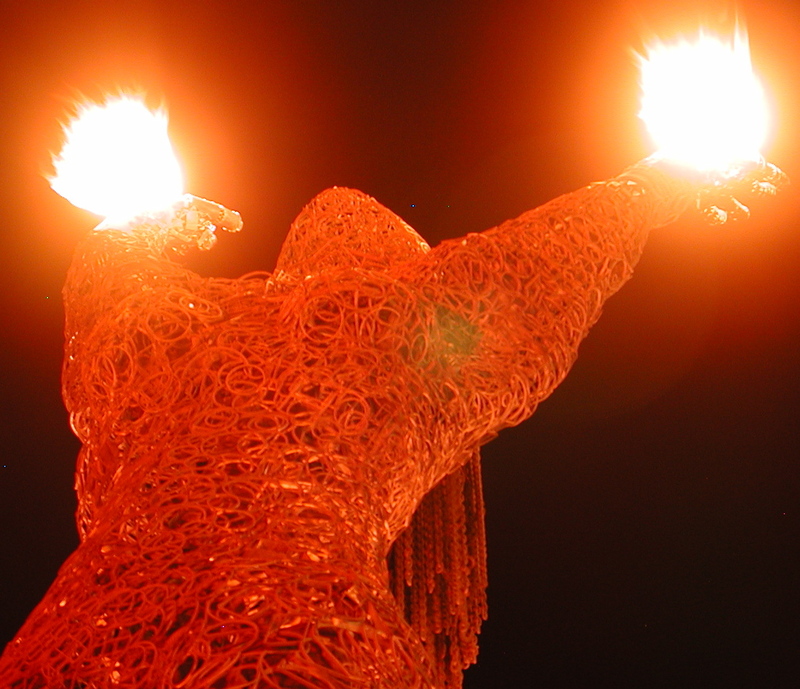 NOTE: If you do not yet have a Burner Profile sign up before Thursday (http://profiles.burningman.com) – having a profile ahead of time will speed up the registration process and ensure you are as close to the front of the STEP line as possible. Giant statue made of steel cables. It was as big, or bigger, than it looks. 2. When a ticket becomes available, the first person in the STEP queue is offered that ticket (at face value, plus usual service fees and a $4 per ticket STEP fee) via email. If that person decides to purchase the ticket offered to them, the sale is made. If they decline to purchase the ticket, it’s then offered to the next person in line … and so on. 1. Burners who have an extra ticket to sell can go to their Burner Profile (http://profiles.burningman.com) to put it into the STEP system (so long as it is before tickets have shipped or you selected WIll Call for your order). 2. Once your ticket has sold, your credit card will be credited for the price of the ticket plus delivery fee. Since STEP offers tickets for sale to the people waiting in the queue, you can’t specify who is offered your ticket. Additionally, signing up for the STEP queue doesn’t guarantee you’ll be able to purchase a ticket … nor does offering your ticket guarantee it will sell. We’ll stop accepting STEP sign ups on July 31, 2013. Good luck to all of you who want tickets but failed to get them during the big sale. And keep in mind that history tells us more tickets will become available as we approach the festival and people realize that they can’t make it. Besides tickets available through STEP, there will be those that show up on Craigslist. Don’t give up; there are usually enough tickets for everyone who wants to go to Burning Man 2013.